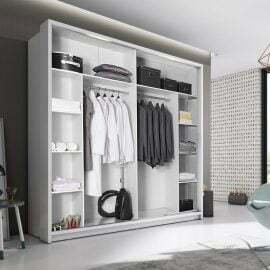 The stylish simple Slidrobe design is the perfect storage solution for your modern home requirements. Add some luxury to your home. 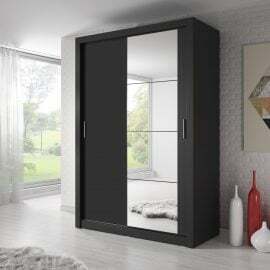 This wardrobe is made of a 16mm high quality laminated board. Sliderobes are in multiple colours and finishes coloured plastic handles for that modern look that will match most colour palettes with a large mirror that will visually enlarge your bedroom. Our furniture meets all your needs and follows the latest trends. The inside layout is designed to fit all your necessities – ample hanging space on both sides and adjustable shelves to store all your clothes. All included. The mechanism of three sliding door and the extra three drawers at the bottom of the wardrobe help to maximise and make the most of the available space even in smaller rooms. 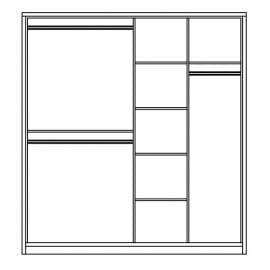 Saving space on the outside whilst creating more space within. Improved build quality increases the stability. 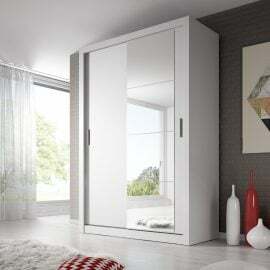 The Aba Sliding Wardrobe has a simple design is the perfect storage solution for your modern home requirements. Matching bedroom furniture is also available i.e. bedsides, sideboards etc. 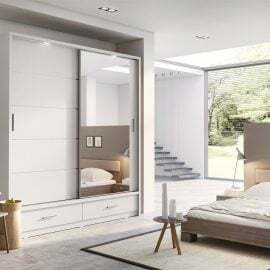 The stylish Aran Sliding Mirror Wardrobe 150cm has a simple design is the perfect storage solution for your modern home requirements. 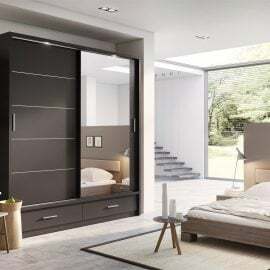 Available in White Matt, Shetland Oak or a Black Matt carcass and front with shiny silver coloured plastic handles for that modern look that will match most colour palettes with a large mirror that will visually enlarge your bedroom. 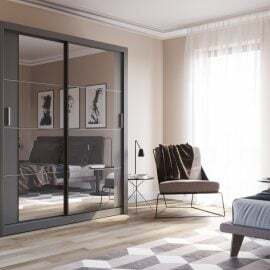 The stylish Aran Sliding Mirror Wardrobe 180cm has a simple design is the perfect storage solution for your modern home requirements. 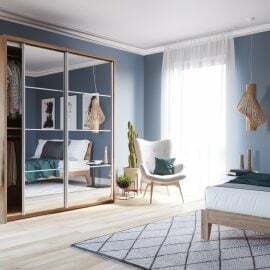 Available in Shetland Oak carcass with two mirror doors that will visually enlarge your bedroom. Our furniture meets all your needs and follows the latest trends. 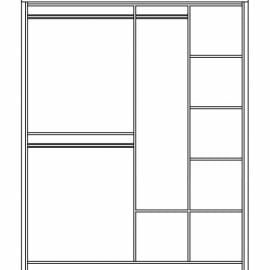 The stylish Aran Sliding Mirror Wardrobe 181cm has a simple design is the perfect storage solution for your modern home requirements. Available in Black Matt, Grey, Oak Shetland or a White Matt carcass and front with shiny silver coloured plastic handles for that modern look. The stylish Aran Sliding Mirror Wardrobe 200cm has a simple design is the perfect storage solution for your modern home requirements. 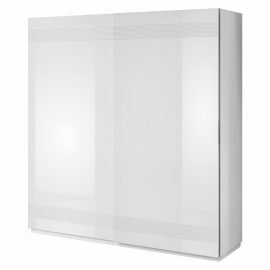 Available in Black or White Matt carcass and front with shiny silver coloured plastic handles for that modern look that will match most colour palettes with a large mirror that will visually enlarge your bedroom. The stylish Aran Sliding Mirror Wardrobe 200cm has a simple design is the perfect storage solution for your modern home requirements. 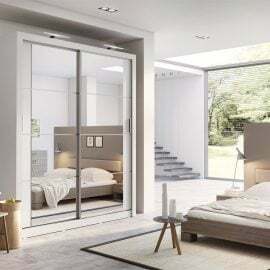 Available in White Matt carcass with one White Gloss door with Shetland Oak decor and one mirror door that will visually enlarge your bedroom. Our furniture meets all your needs and follows the latest trends. 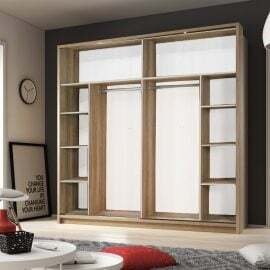 The stylish Aran Sliding Mirror Wardrobe 203cm has a simple design is the perfect storage solution for your modern home requirements. Available in White Matt or Shetland Oak. 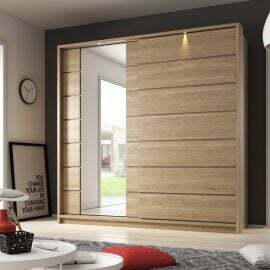 The stylish Aran Sliding Mirror Wardrobe 220cm has a simple design is the perfect storage solution for your modern home requirements. Available in Oak Shetland, Black or White Matt with shiny silver coloured plastic handles for that modern look that will match most colour palettes and a mirror that will visually enlarge your bedroom. 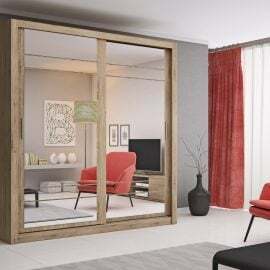 The stylish Aran Sliding Mirror Wardrobe 220cm has a simple design is the perfect storage solution for your modern home requirements. Available in Oak Shetland for that modern look that will match most colour palettes and a mirror that will visually enlarge your bedroom. Our furniture meets all your needs and follows the latest trends.